I’ve been prepping for this race all year. It started with the Derby preps, continued through the Kentucky Derby, and an in-person trip to the Belmont Stakes. I’ve covered the 3YO stakes throughout the summer, including many race previews here on All Day Racing. I also kept an eye on the older handicap division to get a good sense of those contenders. I rely upon this research in analyzing the marquee North American horse race, the $5 million Breeders’ Cup Classic. I’ve already discussed Shared Belief in two separate articles — one and two — and I see him as every bit of the legitimate favorite. That said, I only feel comfortable with an automatic 4/5 play, and I don’t see him being that low. The other horse who I have discussed is the enigmatic Bayern, who is an example of a public bias/mistake — as opposed to track bias — play that I cover in depth in the contrarian guide. Suffice to say here, he has several advantages and should be a square price (for more information on Bayern and more, check out the guide). Needless to say, I like Bayern a great deal. This race will likely come down to a very close finish between these two. On paper, it appears that there are a number of other candidates. But their flaws are open to see. California Chrome was best when he was better than everyone. But, at the time, he still wasn’t that good, in absolute terms; his speed figures were always below average historically. Now that others have caught up, he isn’t as dominant. He could win, but don’t bet on it. Tonalist, a horse that I love and have supported on multiple occasions, seems to have a penchant for Belmont. In the recent past, he reminds me of Flat Out, who loved the Belmont track. That’s enough reason for me to pitch him out of the exacta; I much prefer that a horse be on his best for this race. V-E Day intrigues. He’s the horse that single-handedly made Saratoga at All Day Racing with nice paying wins in the Curlin (9-1) and the Travers (19-1). He originally wasn’t slated for this race, but that only sends me positive signals. Jimmy Jerkins isn’t coming here unless he thinks there’s a real good chance for a payday. Note, however, that V-E Day doesn’t need to find the win spot with this $5 million purse. There’s $900K for second and $500K for 3rd. This is more than the winner receives for many G1 races. Toast of New York deserves a strong mention, although he is trying conventional dirt for the first time. I still think he’s just a slight notch below the two best in here, but he’s probably the biggest risk to upset the party. He has shown excellent stamina already at 10 furlongs, which can be can this race’s biggest challenge. But, as for Toast of New York, he’ll be on tickets, as a real outsider threat for the win spot, if something goes a little bit wrong for the top two. The rest of the pack are just a notch below in my estimation. Cigar Street is getting some buzz, but he’ll have to be better than he’s ever been. That’s a tall task for this race. $1 4-horse Trifecta Box ($24): Shared Belief, Bayern, Toast of New York, and V-E Day. Even though I am hesitant about V-E Day’s win chances, I am going to put him in all positions. Too much precision, at least for my wagering, leads to a less return. Ultimately, Bayern is the key to the ticket. If he wins, we win. If he runs well with Shared Belief, we win. If he runs well with Toast of New York and V-E Day, we win even bigger. If he doesn’t run well, the other three must run well, but there still is this possibility. Of course, there is much more risk with exotic wagers, which is why over 50% of the total wager is in a win. Good luck! 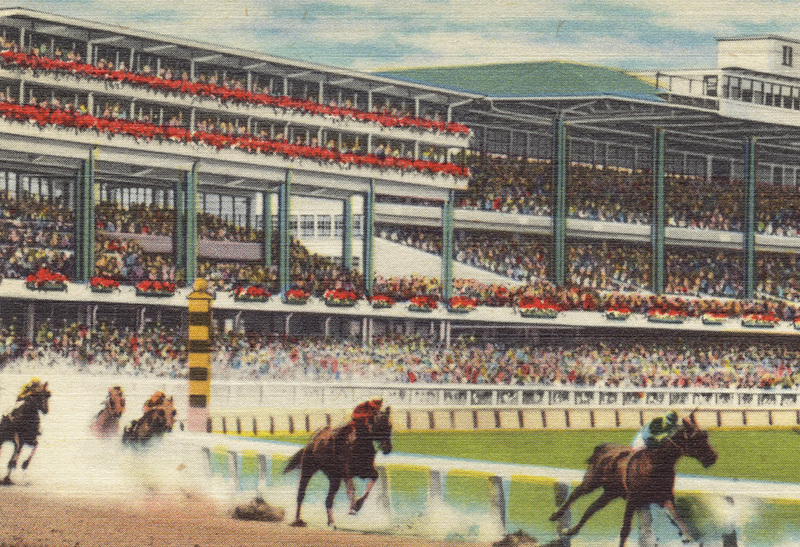 Check out “Stealing Money from the Crowd,” a contrarian guide to the Breeders’ Cup. Available here and on Google Play. Coming soon to iBooks.